This decanter, Reflections - 1975, is one of several I have from the Jim Beam - Executive and Holiday Series. 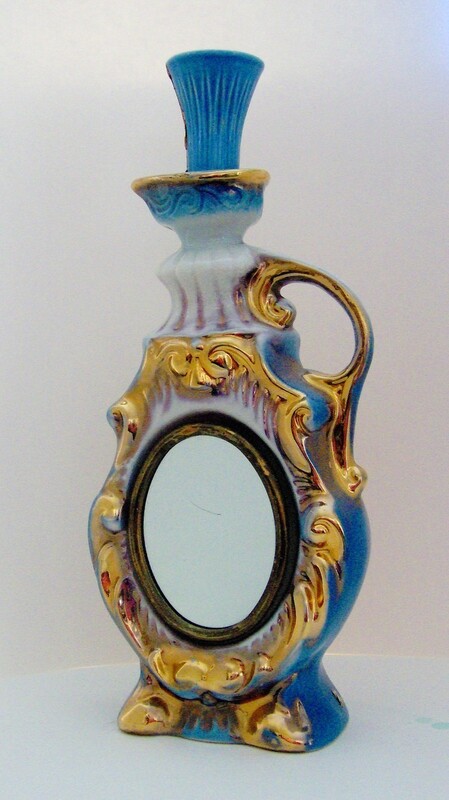 The front has large swirls of gold on a light blue/white background. True to its name, the back has a mirror, approximately 4-1/4" by 3-1/4", surrounded by more gold. The cap, which appears to be a shot glass, screws on. 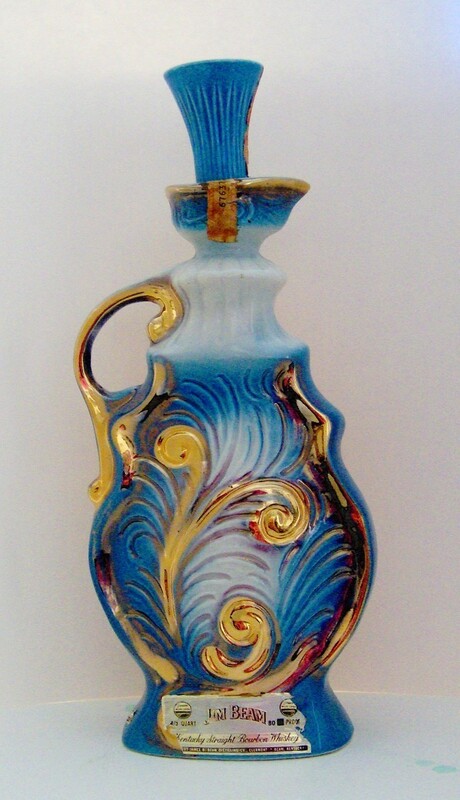 This decanter is approximately 13-1/3" tall, 5" at the widest point and 2-1/2" deep. The bottom is marked Genuine Ragal China 1975. This decanter is in good condition with no chips or cracks. *************************************************************************** I am not a collector and what little knowledge I have has been gleaned from the internet. As far as I can tell, the items in my booth are all in good condition, except as noted. They were gently cleaned recently -I didn't want to hurt them. Measurements are my best attempt and may be off slightly. This is in no way intentional.